Opening September 1st, Windham Fine Arts presents two new art shows: Copper, Clay and Steel in the North Gallery; Figures and Places in the South Gallery. The Artists’ Reception follows on Saturday, September 15th, 5:00 to 7:30pm. It’s a love affair that began in his grandfather’s workshop, says Adam Colangelo, experimenting with scraps of copper during his formative years. 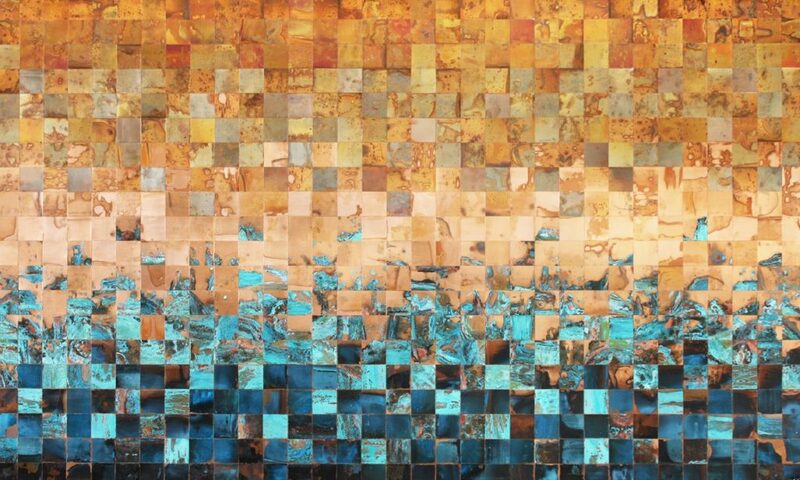 In the years since, Colangelo has created signature pieces in copper producing patinas and finishes so rich in detail, causing one to pause. Lisa Battle crafts distinctive abstract sculptures by hand building them with stoneware clay. 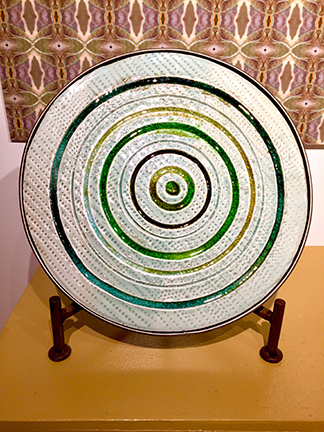 Inspired by patterns created through wind, water and motion, each piece is pit and wood kiln fired replicating the texture and subtleties of nature. 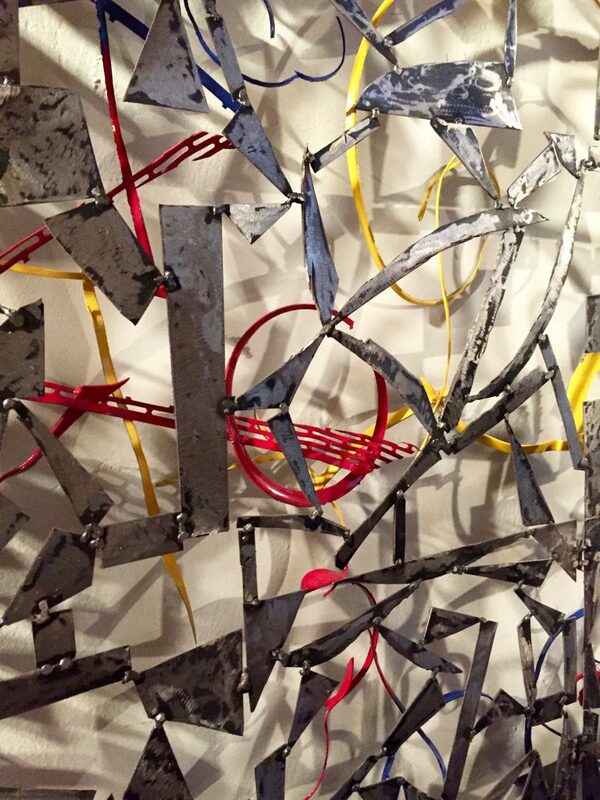 While steel is hard, Richardo Arango tames it producing abstract pieces both large and small and in color, demonstrating the diversity of this powerful medium. 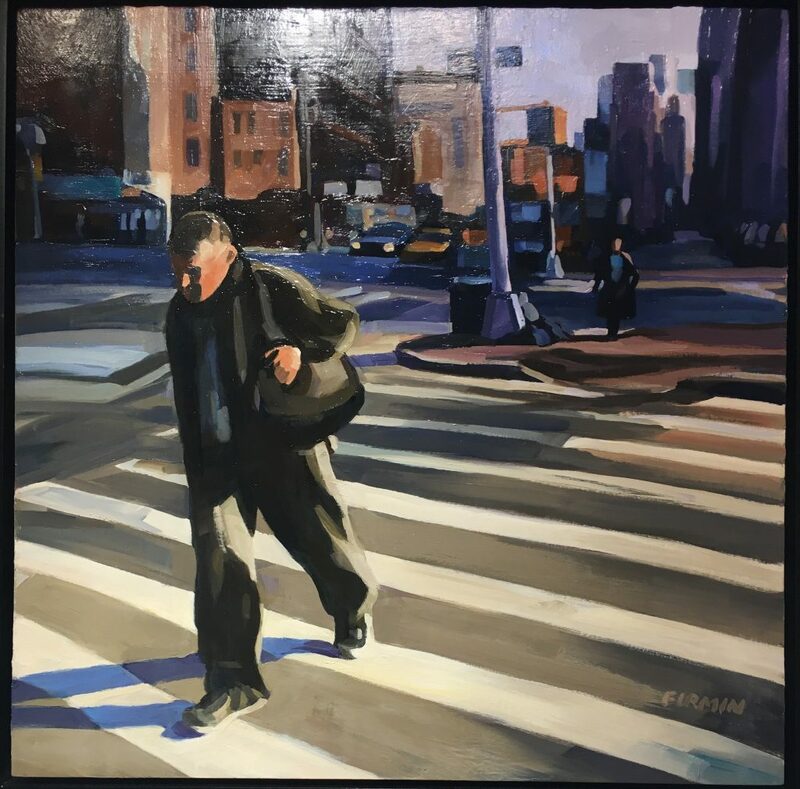 Lisbeth Firmin, captures the light and energy of a specific moment in time. 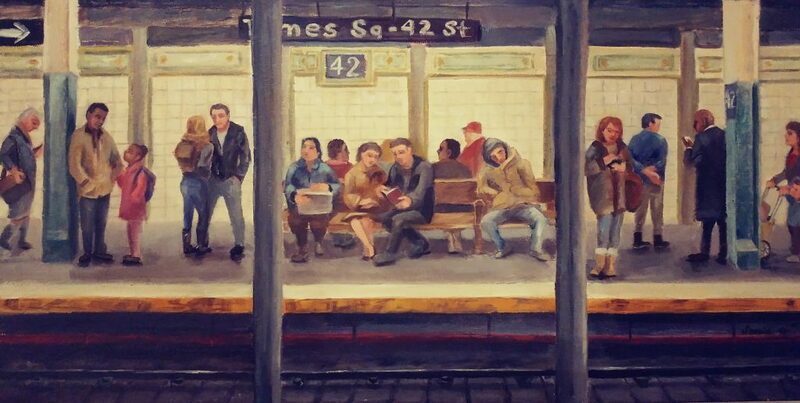 Capturing the relationship between people and their urban environment, Lisbeth rides the line between abstraction and realism. Mireille Duchesne sparks emotion with her earthy yet sensual glimpses of life. As does Sonia Schories, a master sketcher, she captures people in motion and engaged in thought amid daily life. Sonia goes beyond the physical features to capture the personalities of her subjects. Finally, Leila Yassami takes us on a journey of reflective individuals and cultures. Her work brings to fore the three-dimensional effect of working with live models.